Quinta das Covas, at the entrance to the Natural Park of Montesinho, extends over an area of 27 hectares, where the biodiversity and the beautiful transmontanas landscapes, enchant and enchant. Specially designed for the design, organization and realization of events, it has the same space: a multipurpose room with a capacity for 700 people, a banqueting and conference room with capacity for 250 people, 3 restaurant rooms, a typical wine cellar, a traditional oven, regional swimming pool, extensive gardens and parking for up to 400 cars. We work closely with our clients, offering an integrated and personalized service, marked by rigor and self-denial. 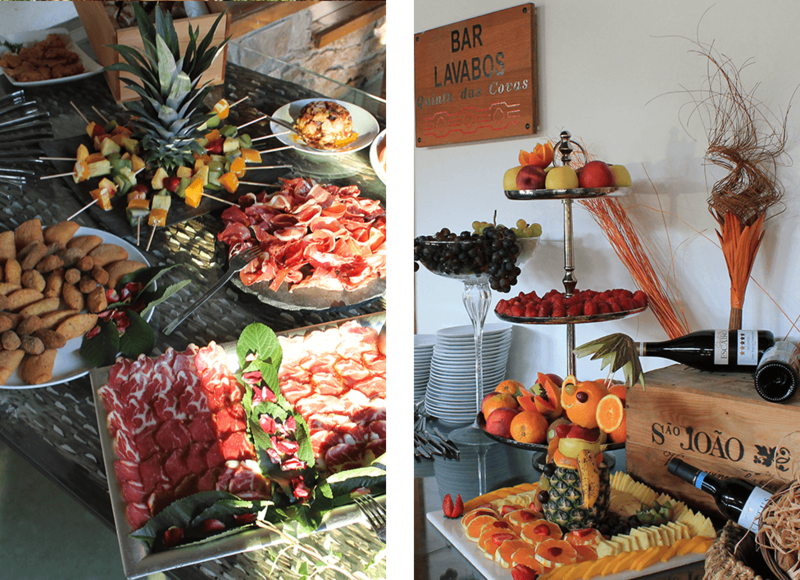 We invite you to visit Quinta das Covas, where excellence in service is a reality. 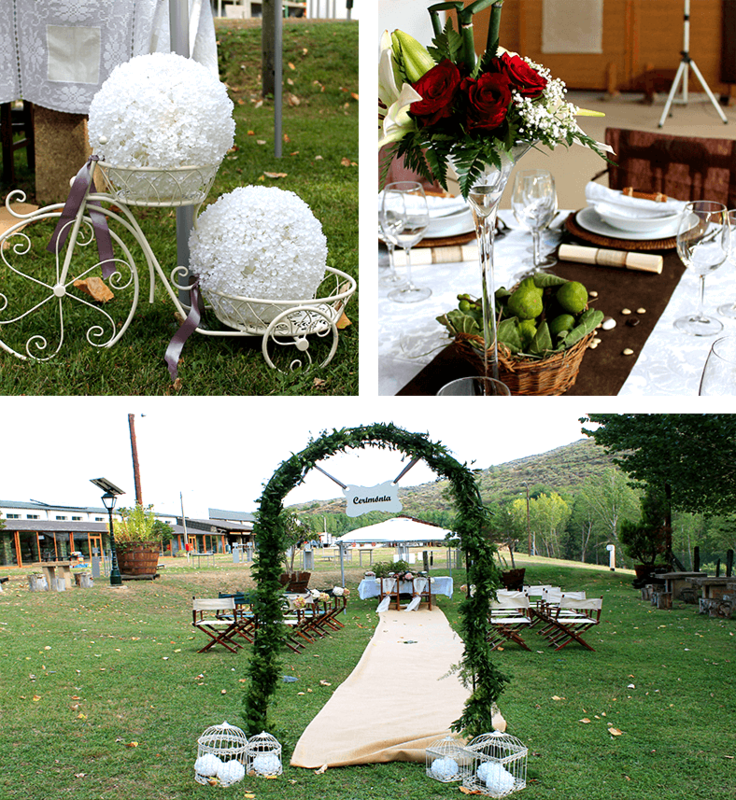 At Quinta das Covas, we work with dedication, rigor and quality to make your wedding a unique and memorable day. We offer a full service, marked by refinement and good taste, in a space endowed with a charming beauty. The charm, the friendliness, the attentive suggestions, the creativity and the care with the details are part of our routines, because unforgettable moments require singular teams. Because the smile of a child is something that is part of the most beautiful memories of adults, Quinta das Covas, will help you in organizing fun and unforgettable events such as communions and baptisms. The Quinta das Covas offers optimal conditions for family celebrations, where the joy of the youngest is our supreme design. The meetings of a scientific, associative, institutional and professional nature have conferred to Business Tourism a prominent place in the national tourist panorama. Quinta das Covas, with its multiplicity of spaces and valences, is the perfect place for organizing conferences, congresses, seminars, exhibitions, fairs, etc. Organize your event with us, feel the inspiring environment of Quinta das Covas, ideal for transmitting knowledge and exchanging ideas, thus satisfying an increasingly demanding and eager to know audience. The Rural Tourism is also part of the Quinta das Covas offer, where the houses of Forno and Guieiro are located. Inserted in a wider set of six dwellings of A. Montesinho Turismo, these accommodation units are sought after by visitors in search of tranquility and perfect communion with nature, but also allow those who organize and participate in events to stay at the place, simplifying processes and considerably reducing the range of concerns. The houses, authentic transmontanos homes, are characterized by the moth and typical materials of the region, allied with tact to a joyful decoration, providing unique comfort and well-being. Do you organize packages and business activities weekends? Yes, we produce complete and personalized packages with distinct and creative activities for your company. Do you have business-specific menus? Yes, the menus vary depending on the types of events and the times of the year in which they take place. Do they marry for the registry office? 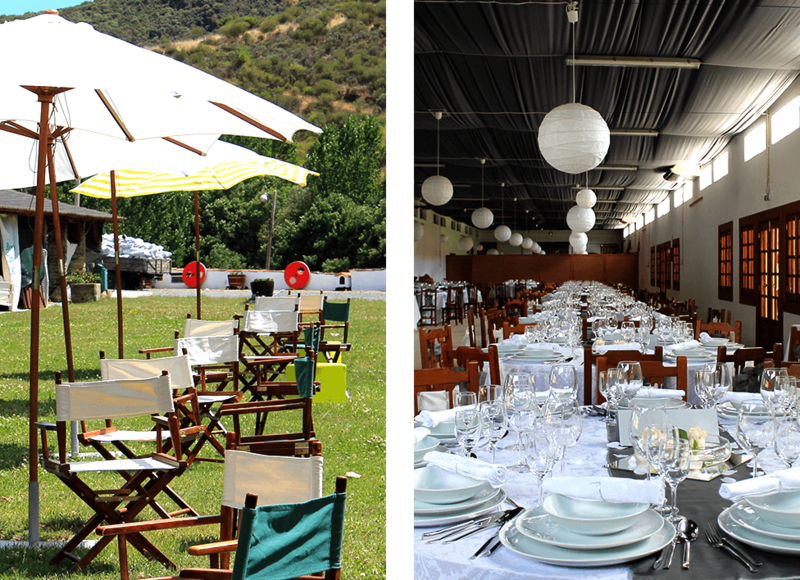 Yes, Quinta das Covas has several spaces suitable for civil weddings. Are there churches near your facilities? Yes, there are churches in Gimonde (2 km), in Bragança (6 km) and in the villages nearby. Is food production done by you or do you use a catering company? It’s made by us with high standards of quality and variety. Can a space be reserved? In the presented menus, there is a possibility to choose a certain menu and add a dish or drink from another? The displayed menus are likely to be changed and customized to the needs of our customers. Is the space air-conditioned in summer and winter? The space is air-conditioned throughout the year in order to give maximum comfort to those who use it. Is the HACCP system implemented in your unit? Yes, rigor and quality are basic stones of the services provided by Quinta das Covas. What are the main places to visit in the region? In Gimonde you can visit the Romanesque Bridge, the Roman Ruins and the Mother Church of Our Lady of the Assumption. In Bragança, the most interesting places are the Castle, the Domus Municipalis and all the citadel area as well as the city’s various museums: Graça Morais Contemporary Art Center, Baçal Abbot Museum, Living Science Center, Iberian Mask Museum and the Costume and Military Museum. The Natural Park of Montesinho, which extends over a vast area in the region is also a must visit.